Recently I hosted a small dinner party, and encountered a new challenge. One of the guests was vegan. While my husband and I often eat vegetarian meals, I have never really cooked a vegan dinner. As it turned out, I didn’t have a problem with the main course, but I was really stumped by the appetizers. Most often before we begin a meal, we will put out a table full of nibblies, including cheeses, and a variety of appies that contain meat and / or seafood. So, I really had to work hard to come up with something that my vegan friend could eat and would enjoy. Fortunately Bon Appétit (February 2014) came to the rescue and provided me with this winning vegan appetizer and guess what? She loved it and even asked for the recipe. The original recipe called for a loaf of crusty bread that could be spread with the toppings and then cut into slices. I decided to add a layer of flavour by making crostini from a dense fruit and nut bread and then spreading each piece of bread with the toppings. I would do this again because it provided a lovely crunchy base for all of the other textures of the ingredients. Tonight I am taking a big tray of these appies over to Angie’s Fiesta Friday. I know that many of the guests are vegetarian and many are vegan too, so at last I can offer them something delicious! I know that the other guests will enjoy them too because the combination of flavours is quite awesome! Our co-hosts tonight are, my friends Elaine from Foodbod and Prudy from Butter, Basil, Breadcrumbs. I know we are all in good hands with these two very gracious co-hosts. Thanks so much, Elaine and Prudy for co-hosting us tonight and to our dear Angie for opening her doors to us every Friday. Happy Fiesta Friday everyone! Slice bread very thinly. Place on a baking sheet and bake at 325° for 10 minutes. Turn pieces of bread over and bake for an additional 10 minutes, until breads are crisp. Remove from the baking sheet and place aside. Pierce yam with a fork several times and place on a baking sheet. Bake for 40 – 45 minutes until yam is soft. Remove from oven. Cut the skin of the yam and scoop the cooked yam from the skin. Place in a medium bowl. Add the sambal oelek, orange juice, rind, and salt and mix well. Set aside. You can make this, 3 days ahead. Cover and chill. Preheat oven to 425° F. Toss broccoli with 2 tablespoons olive oil. Line a baking sheet with parchment paper and place broccoli on it. Season with sea salt and pepper. Roast until tender, about 6 – 8 minutes, until golden brown. Let cool and chop coarsely. Toss broccoli, nuts, lemon juice, half of the basil and mint and remaining 4 tablespoons olive oil in a large bowl. Season with salt and pepper. Spread crostini with yam mixture. Top with broccoli mixture and remaining basil and mint and any remaining pistachios. Sprinkle with sea salt. Serve immediately. What a creative appetizer, Julianna! They look delicious and so healthy, too. I’m not vegan or vegetarian, but sometimes end up making a vegan meal just by accident (i.e. no planning or lack of ingredients). I will have to throw this recipe into the mix and see what the hubby thinks. Happy Fiesta Friday! Hi Ngan. After I made this vegan meal, I really realized that I will make more. It doesn’t have to be bland or boring at all and I never really missed the animal product ingredients. Let me know what your hubby thinks! Happy Fiesta to you too! Lovely. I am not a vegan, but more than half of my meals are vegan or vegetarian, and this sounds quite delicious. 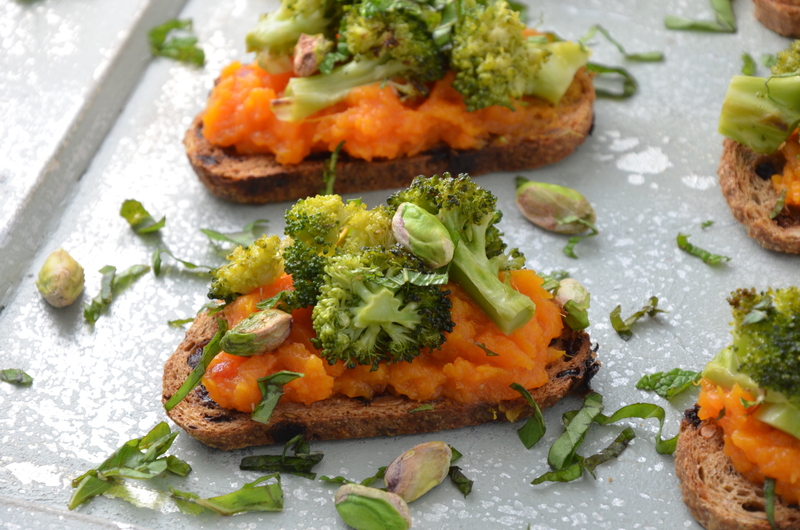 I love the sweet and spiced yam spread (can one use sweet potatoes? Yams don’t exist in France), the fresh green toppings and different textures. This looks perfect and satisfying! Spicy is calling out to me :). What a delightful and unusual appie Chef! Call it beautiful or gorgeous but it’s my kinda appie. :). Julianna…I am almost speechless! What a unique and fabulous combination!! And your pics are so lovely! Hope you are having a good week! Hugs! Yes Elaine! These have your name written all over them! I will be happy to make these for you when you come to dinner!! 😀 Thanks also for co-hosting this week! It is so great of you to do it 2 weeks in a row!! Wish I could have joined you and Prudy, but there is just too much on the go here this weekend! I could eat this now! These look so great. Even carnivores could get in on this act. Welcome to Fiesta Friday, Julianna!! Wow…what absolutely gorgeous appetizers that you’ve brought to share with us this week. I mean, seriously… I never would have come up with these in a million years…and I have to say that you truly do not have to be vegan to enjoy them! I am printing this recipe, and plan to make it for a “pre-gut the kitchen” dinner that I’m planning to have for my friends. They’ve been watching me wish for a new kitchen (mine is the original from 1936) for 20 years… and I thought it was fitting to have a dinner for them before we begin gutting! The surprise is, is that I’m going to have sledge hammers there for everyone to put a hole in the wall!! Well, I sure hope your guests love it as much as mine did! And I just think it is so awesome that you are getting a new kitchen! You should be sure to do before and after photos! As for your surprise: wow, how cool that your friends get to participate in the demolition! Too bad all the FF gang couldn’t have a virtual sledge hammer! We’d have it demolished in no time flat! Thanks for being such a great co-host Prudy! I’m sorry I couldn’t do it again this week! But, I’ll take a piece of your amazing strawberry pie – without the scary man! I hope he didn’t make it to the party! Wow Julianna, You are creating these colorful, healthy and delectable recipes that I want to just grab them from the photo. Those crunchy pistachios on them… Mamma Mia! Ooooh, it’s time for nibbles right now here in Australia and I would love a few of these to accompany my glass of wine! They look fabulous Julianna! Oh yes, a lovely cold glass of Australian Sauvignon Blanc would do the trick! Wow. Love them. So simple yet such great flavour combos! Though I must confess – I don’t know what sambal oelek is? If you can think of an alternative ‘spicing’ agent then I will make these with sweet potatoes, or maybe I can track down a source for it here in the UK! I was in my Indian grocers this morning – they had so many things I didn’t know, perhaps this was one of them! Hi Anna, samba oelek is just an Asian red chili paste that comes from Indonesia, I believe. I use a good one that comes from Vietnam that is mixed with a bit of garlic. If you can’t find it, just use red chili flakes (but only add it to your taste) or hot sauce or sriracha. It just adds a nice bit of heat to the recipe. I think I took a photo of the jar for one of my other posts. I’ll see if I can find it and send you the link so that you can have a visual. Good luck! Juliana, these are incredible, beautiful, healthful, and I know delicious. I think your photo’s and presentation are amazing. I have to try these. Oh Julianna, I’m sure your vegan guest had really appreciate your dinner and your very original appetizer! Thanks Margherita! I think she really appreciated it and I learned too, that there are just so many options out there! Have a great week! These look great, I would eat them all and have it as a main course haha! LOL! I could eat these as a main course too! Hi Sylvia! Yes, I have been thinking more of super foods, what with summer here and all of the wonderful, bright veggies that come out this time of year. We can be so healthy in the summer! This looks great, Julianna! Totally healthy as well. I must try it! Let me know if you do, Indira! This looks so pretty, Julianna! What a great idea for an appetizer! Hi Julianna this looks fabulous! 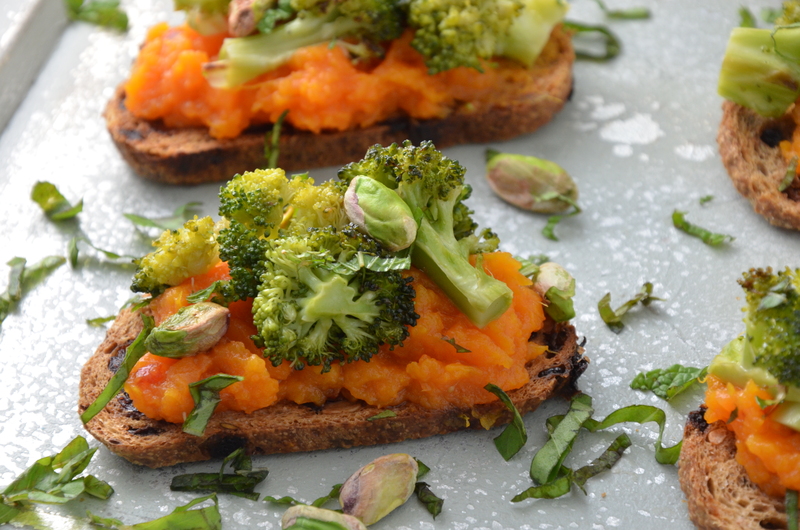 I am not vegan but really love this appetizer!So healthy and I am sure delicious too! These are beautiful and the color combination is fabulous. I imagine the flavor combination is just as fabulous! Actually it is pretty darn tasty!! Thanks so much for taking the time to comment! Hi Pang. Well, I always feel badly if my dinner guests can’t eat what I’ve cooked. In the end we all really liked this dish, so everybody was the winner! Your recipes are always so meticulously made and a pleasure to browse. Thanks so much for sharing this one. I love the combination! I love the colours! 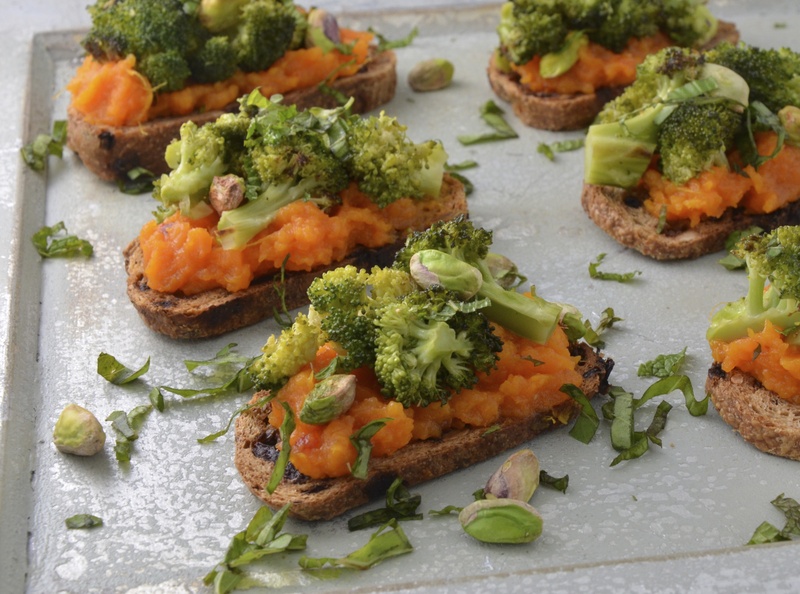 This appetizer looks so healthy and delicious! !